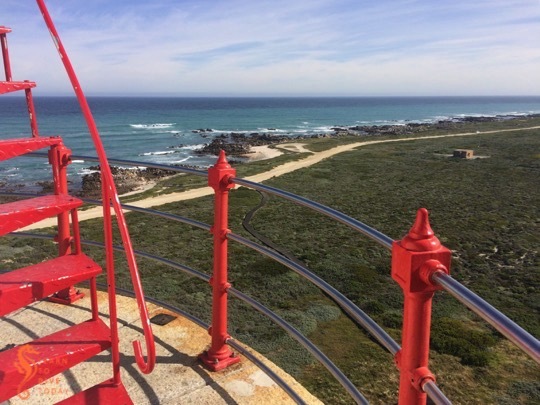 The Cape Agulhas lighthouse is the most visually pleasing lighthouse that I’ve visited so far. 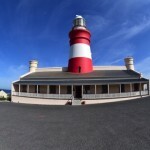 Tony and I visited it while we were staying at De Hoop last September. 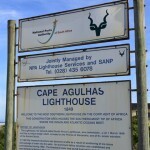 Cape Agulhas was named by the Portuguese from their word for needle. 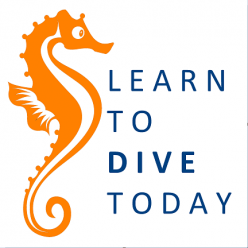 During the 1500s, when they were plying Southern Africa’s coastline, the magnetic declination in the area was approximately zero, meaning that there was no deviation between true and magnetic north, and the compass needle pointed to true north. 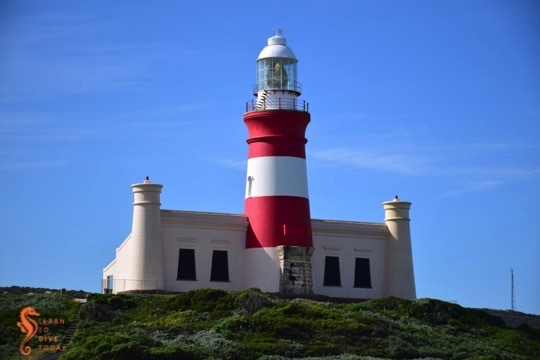 The lighthouse is within walking distance of the southernmost tip of Africa inside the Agulhas National Park, and was built on land donated by Michiel van Breda, a local landowner (for whom Bredasdorp was named). 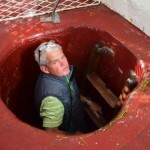 Van Breda had experienced the trauma of shipwrecks along the stretch of coastline on his farm, with hundreds of dead bodies washing up after ships foundered on the rocky shores in rough seas. 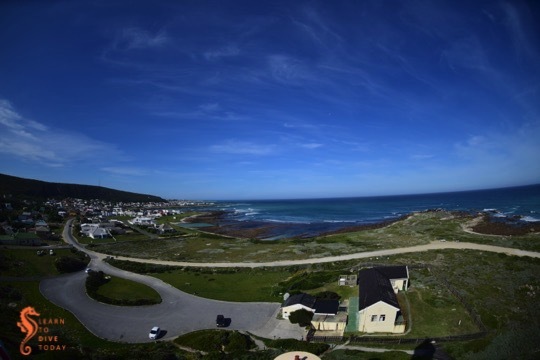 The shipwreck museum at Bredasdorp commemorates many of these wrecks. 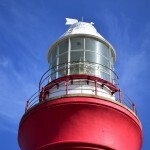 The lighthouse was commissioned on 1 March 1849. 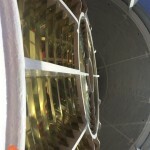 It has a 7.5 million candela light that emits one flash every 5 seconds and has a range of 31 nautical miles. 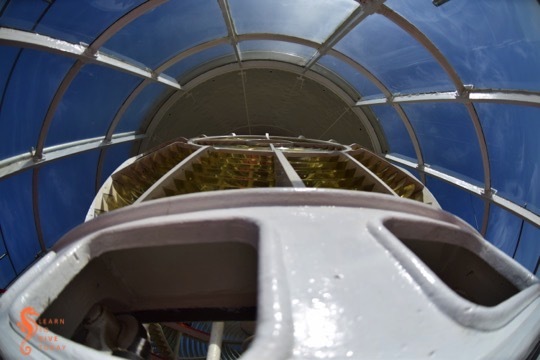 The lighthouse tower is 27 metres high, with a focal plane 31 metres above sea level. 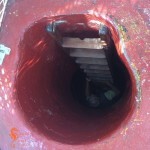 The tower is made of limestone with a white lantern house. 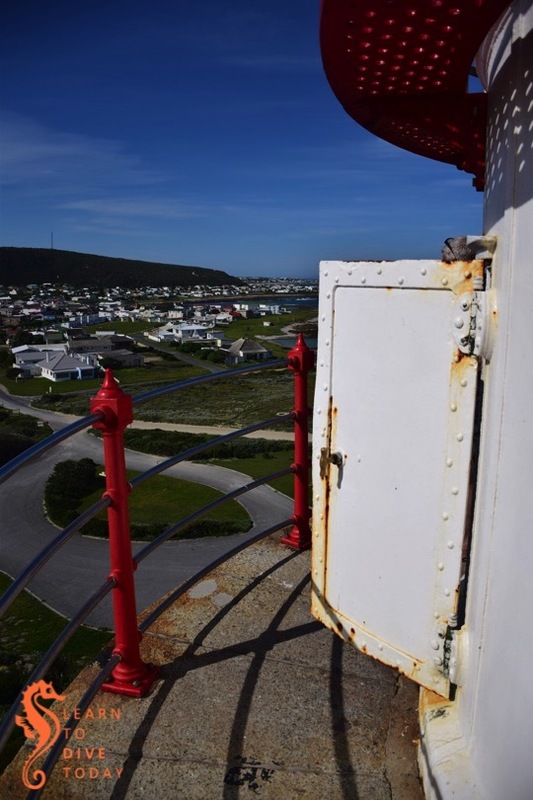 By the 1960s the tower had deteriorated to such an extent that the lighthouse was temporarily decommissioned (its job performed in the interim by an aluminium tower), and restoration was undertaken. 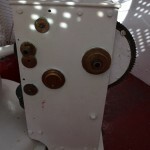 It was recommissioned in 1988. 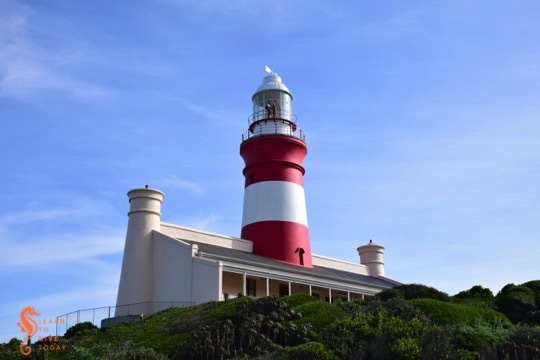 The lighthouse is open to the public (also on weekends, which is unusual for a South African lighthouse) and contains a museum and a gift shop on the ground floor. 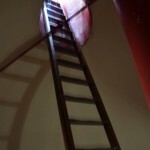 The view from the top is well worth the climb. 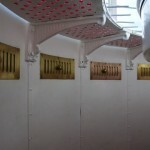 If you love lighthouses, you need to get hold of Gerald Hoberman’s Lighthouses of South Africa.